Nominet, the official registry for .UK domain names, has announced a substantial wholesale price increase for .UK domains (e.g. .uk, .co.uk, .org.uk, .me.uk, etc.) effective from the 1st of March, 2016. The increase exceeds our retail price so naturally, in common with most other registrars, Layershift will be forced to increase the registration / renewal fees for our .UK domains as well. This price change is unexpected indeed, as Nominet has not increased domain registration fees for .UK domains since 1999. As Nominet is a not-for-profit company, we like many believe that the price increase is neither necessary nor justified. However, as the pricing is part of the company’s commercial strategy, it will be reviewed annually, meaning that the fees could increase every year from now on. Beginning with the 1st of March, 2016, all .UK domain registrations and renewals will be charged at a flat rate of £4.75 per year (excluding VAT), or $6.99 per year for accounts charged in USD. The good news is that you can also register your domain for a period of 1 to 10 years, at the same flat rate per year, so on the assumption that Nominet increase prices further at each of their annual reviews, registering or renewing your domain for longer registration periods will give you better value, in the long run. By the way, our new price also remains one of the lowest in the UK. For example, lower than that announced by 123-reg (£6.99/year) and Fasthosts (£6.99/year). How does this affect my existing domain? If you already have a .UK domain registered with Layershift and its renewal is due after the 1st of March, 2016, then you should expect a slightly higher renewal charge. Rest assured though, our pricing is unchanged in the meantime – so you can continue to register or renew your domains at the lower price until then. Regardless of when your .UK is next due for renewal, you can extend the registration period by up to 10 years right now. Provided that your order is paid and processed before the 1st of March, 2016, you will enjoy our existing low price. The expiry date of your domain cannot be more than 10 years in the future; 10 year renewals are only possible for expired domains, but you can still renew for a shorter period (e.g. 5 years) provided that the end date remains within the next 10 years. Login to Layershift Customer Control Panel. Open the ‘Account’ tab at the top of the page. Click on ‘Subscriptions’ to list your active subscriptions. Click on the domain name you wish to renew. Select the desired renewal period (longer periods will give you better value) and ‘Save’. ‘Generate Renewal Order’ from the previous screen (Account > Subscriptions > domain name > Generate Renewal Order). Click on the renewal order in Account > Billing History, and use the ‘Pay this document’ button to start the payment process. You can verify your domain’s new expiry date in the subscriptions list (Account > Subscriptions). If your domain registration is due for renewal before the 1st of March, 2016, then the renewal fee will be the usual £2.75/year (ex. VAT), or $4.95/year for accounts charged in USD. If your renewal is due after the 1st of March, 2016, but your renewal order is automatically generated in the meantime – it too will be at the current lower price. However, this price is only valid if the order is fully paid and processed before the 1st of March, 2016, so you must log in to your account to complete the renewal payment manually (see step #8 above). If you do nothing, the renewal order will be cancelled and replaced according to the new price on the 1st of March, 2016, and you will need to pay the higher renewal fee instead (this will process automatically, according to your account/payment settings, if applicable). Should I do anything now? 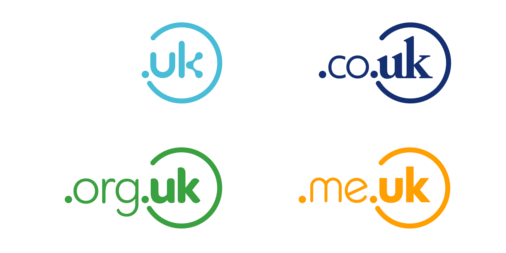 If you register .UK domain names, you should consider extending the registration period before the 1st of March, 2016 to benefit from the lower price. If you have domains elsewhere, you can also consider transferring them to Layershift (free of charge) to benefit from our low pricing and high quality support.